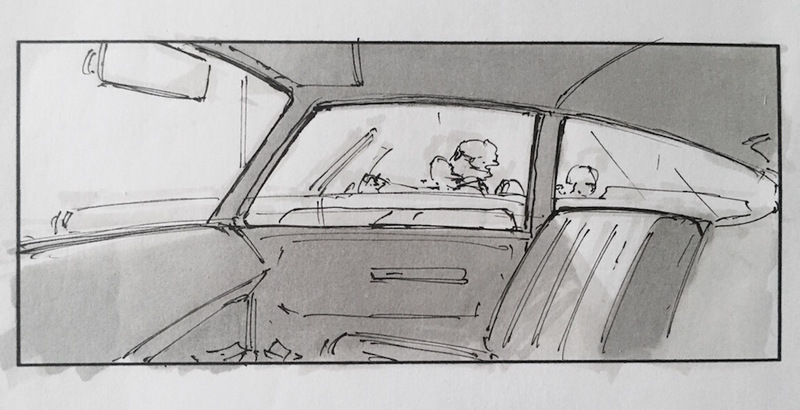 “It’s sometimes important to let go of control and just play around and have some fun with your tools.” Martin Bergquist studied Industrial Design at Konstfack University of Arts, Crafts and Design in Stockholm before becoming a go-to concept illustrator and storyboard artist for major production companies developing headline film, TV and videogame projects. 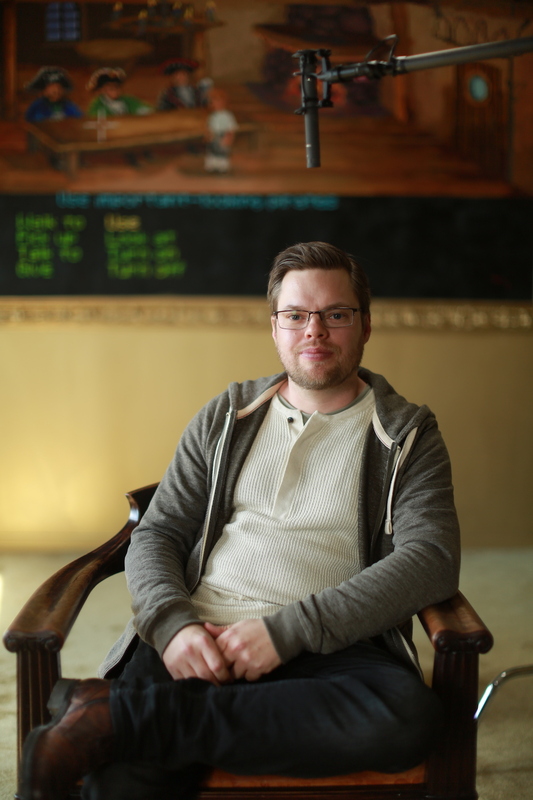 Bergquist has applied his unique talents and supreme knack for conjuring distinctive sci-fi and dystopian worlds to releases ranging from Girl with the Dragon Tattoo to Underworld: Awakening and Lost in Space. 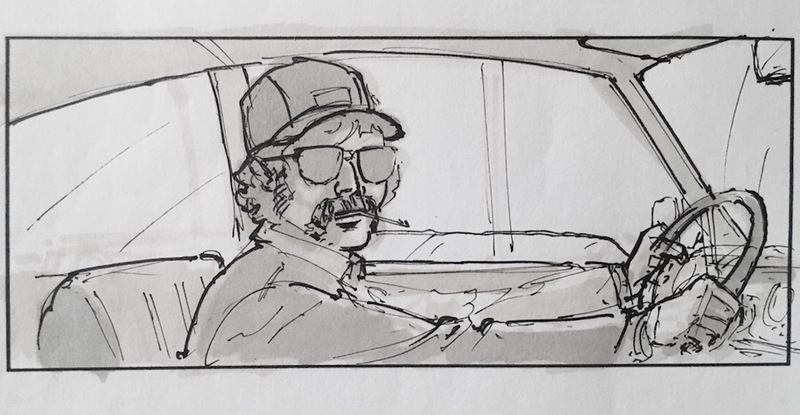 Here we ask the highly acclaimed visual-development artist to tell us about the one bit of kit he couldn’t do without when creating his sketchy, expressive storyboards: Winsor & Newton ProMarkers. “Most of the time I start my drawing before I even put my pen on the paper. 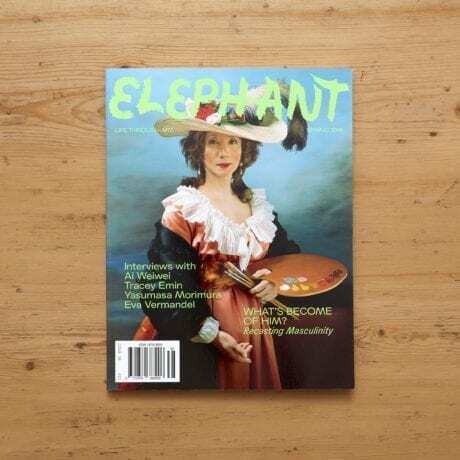 I think a lot and do research on the subject matter I’m about to design. The drawing is the result of different ideas I already have started to formulate in my mind. It’s like a professional downhill skier picturing the race in their mind before actually doing it in real life. 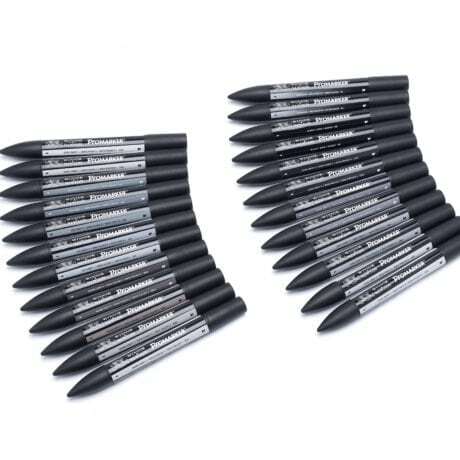 “My tool of choice would be my grey Winsor & Newton ProMarkers, used together with a fine liner or a ball- point pen. I like to work loosely and simply; most of the time, pen and paper is the best way to start the creative process for me. I’m not too picky with which pen, sometimes I even prefer a used cheap one since they are a bit drier and are easier to draw soft lines with. “ProMarkers give me a wide variety of choices in both tonal values and colours; I also like how the values blend with each other. The ProMarkers give me the control to start light and slowly go darker, but not overpower the final pen work. “I started to work with this technique back in school when I was studying to be an industrial designer. I then learned how to explore design ideas and search for strong shapes by working very soft with my lines and markers and then defining my preferred choice with darker values and bolder lines. “I also do this to create strokes in a certain way, and angling the page helps me to do this more easily. Most of the time I continue my cre- ative process digitally and I use my analog sketches as a base when adding more defining lines, colours and light and shadow in photoshop. “I sometimes use ProMarkers with thick black pens or even paintbrushes to work more towards silhouettes with my designs. I found out that if I start fairly abstract, with broad strokes instead of precise draw- ings with a pen, then I can see shapes in a different way. This is why I believe it’s sometimes important to let go of control and just play around and have some fun with your tools. 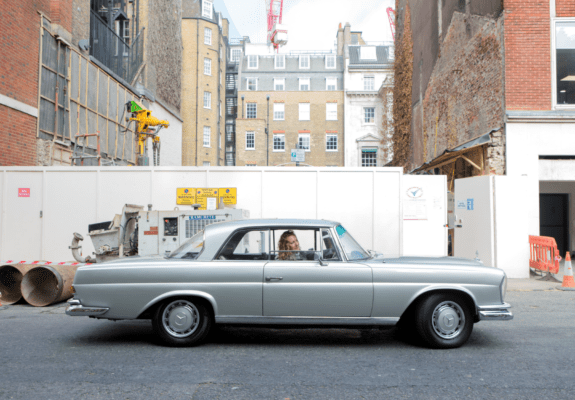 You might spot the architect driving around London in her 1968 Mercedes coupé, which she discusses as a central tool in her working day.